In our new ‘Raising Funding for Your Startup’ blog series, we will lead you through six steps of raising funding. The first step, and therefore the first blog, is dedicated to creating a funding roadmap. It allows the startup to answer potential investors’ questions and stay organized. Businesses without a plan can easily get off-target. Find out what to keep in mind. Whenever you’re raising funding, one of the first questions that will pop up is: ‘How much money do you need and what are you going to spend it on?’ You need a very clear answer and you can prepare it quite easily because you know your business and you know what’s your next milestone. Calculate how to achieve that milestone. Investors like founders who really know their businesses. 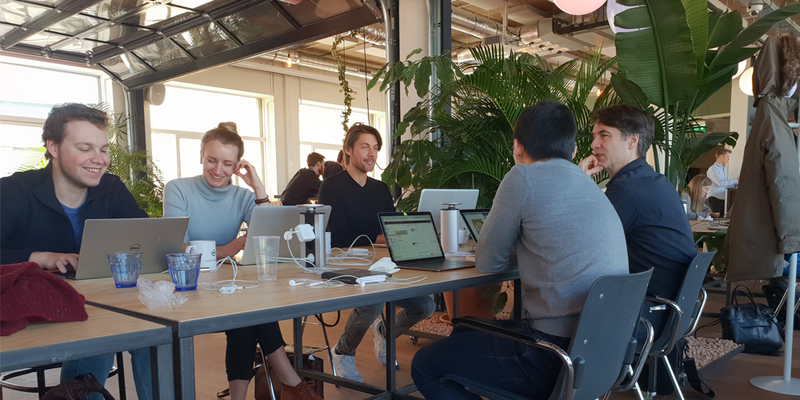 They expect founders to pick a number and break it down into little pieces; explaining which percentage goes to IT development, which percentage goes to business development, which percentage goes to marketing and so on. Let’s say you are a CEO without a financial background. You might be thinking: My CFO can handle the numbers. At an event, you meet investors and when numbers are discussed, you use the phrase: ‘My CFO knows the numbers, I don’t.’ This doesn’t give a good impression at all. You are the founder of the company, so take responsibility and know your numbers. Not being able to give investors concrete numbers is one of the biggest turn-offs for them. 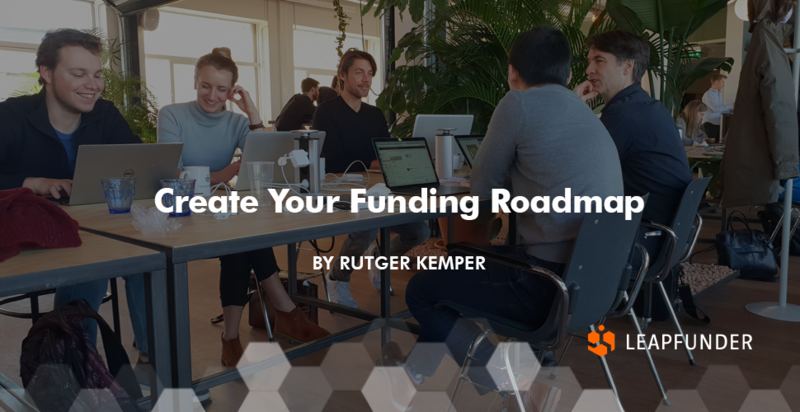 A funding roadmap is basically a way to express the amount of money you need, what you are going to spend it on and in which amount of time. Goals: Spending the money within the upcoming 8 months, getting at least 100 users for the platform and getting their first user experience feedback. Adjustments: Based on their feedback we can adjust our current proposition. When the feedback is positive, we will go for the second round of funding and scale to more users and features. No one actually knows whether their numbers will be exactly what they predicted, but it’s not that important. The most important thing is having an overview of what you need as an entrepreneur to help your business grow. You will definitely have discussions with your investors, and that’s a good thing. Investors have experience and they can help you with their knowledge. Always inform the investors of your status. Be truthful, so don’t only update them when you have positive news, but also when things aren’t going as well as anticipated. We suggest informing the investors frequently, every month or every two months. You will have to tell them what you spent the money on so far, whether the costs were as high as you had anticipated and whether you reached your milestone. If your predictions are quite accurate, your investors will be confident that you are able to make well-defined estimates. This creates trust. There is always a next funding round. During that round, investors can see if you are reasonably on a par with your predictions. If you are, most of them would want to participate in a follow-up investment. In case you are quite off with your predictions, start analyzing why. Maybe the marketing costs were twice as high as you had expected. Maybe the expansion to another country is way more difficult than you first had in mind. Maybe a key team member left the company. It’s crucial to know your business, even if you haven’t achieved the milestone and you need more funding to achieve your goals. The key to follow-up investments is having answers on why you haven’t achieved the milestone. Trust from investors is pivotal for startup survival.